Rapper Foxy Brown was paid $10,000 to perform at a party during New York Fashion Week, but she reportedly didn’t sing at all and left with the check. 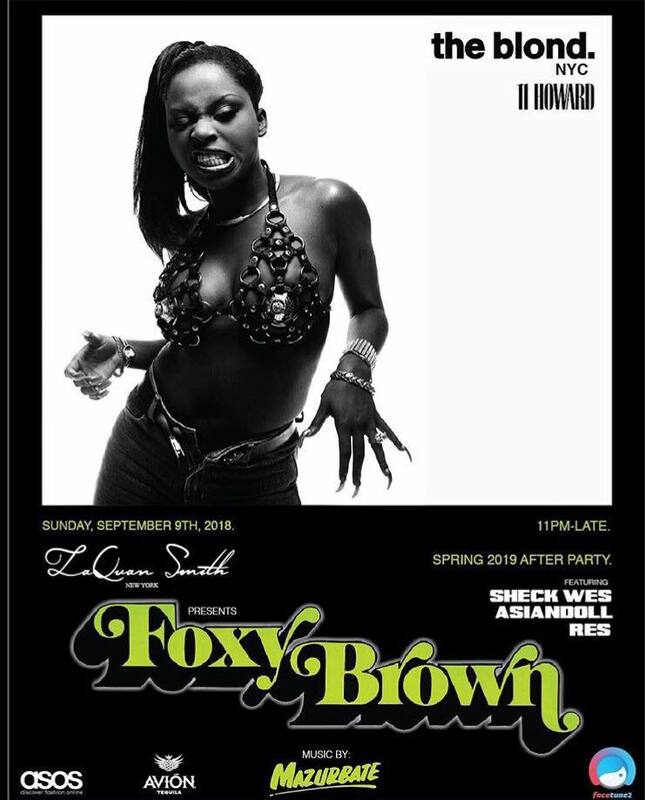 Inga DeCarlo Fung Marchand, known onstage as Foxy Brown, agreed to perform two songs at the designer LaQuan Smith’s after-party this past Sunday during NYFW. Prior to the show, she was paid $5,000, and she was supposed to receive another $5,000 at the party after performing. However, according to TMZ, Brown did not play at all during the party. She reportedly showed up around 2 a.m., took the $5,000 check out of the organizer’s hand, and left the scene without singing at all. The promoters are giving Brown the ultimatum to either return the money, or be prepared for a lawsuit. Brown is best-known for her late ’90s hits like “Get Me Home,” “I’ll Be,” and “(Holy Matrimony) Letter To The Firm” from 1996’s Ill Na Na, as well as “Oh Yeah” from 2001’s Broken Silence. She hasn’t released any new material since 2008’s Brooklyn Don Diva, but is supposed to be released her fourth studio album, King Soon Come, in 2019. Additionally, she made her first feature since 2009 on Nicki Minaj’s track “Coco Chanel” from Queen.